If you’ve been reading this blog lately, you know we are in the early innings of artificial intelligence (AI). It’s good to see Oracle at bat, and having an early lead leveraging AI and machine learning (ML) within an enterprise environment. Following up on the ground breaking release of Oracle Autonomous Database in March and then the first set of Autonomous Cloud Platform Services that included Analytics Cloud, Integration Cloud and Visual Builder (May 7th), it’s exciting to be part of the next wave of services that includes the Mobile Cloud - which by the way, includes Intelligent Bots! Do you recall the very first release of Oracle Mobile Cloud Service back in Sept 2013? Since then, the product has garnered market leadership position, customer accolades, and named leader by highly regarded analysts including Gartner, Forrest and Ovum. As Oracle is going all-in with mobile and cloud, it’s only fitting these waves of innovative releases, Oracle is all in on AI. Lets touch on a couple of cool new features for this release. 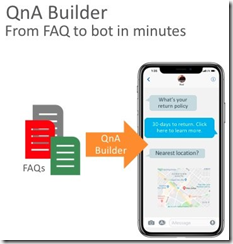 QnA Builder - take your standard frequently asked questions document, import it into QnA Builder, and automagically create a chatbot to serve those needs. No more expecting customers to read an FAQ, or wasting valuable staffing resources responding to the same, repetitive questions. Let the chatbot deal with that - 24x7, 365 days a year! 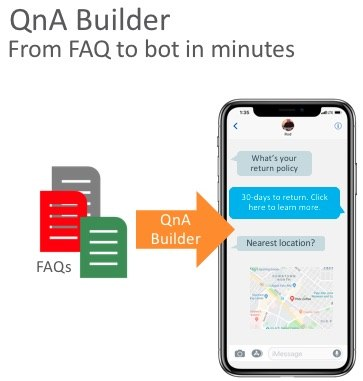 And if the chatbot gets out of its depth of knowledge (we are not yet at the level of singularity - no one is) we’ve built in a bot-to-agent handoff, to better serve your customers, while scaling up operations. Just as machinery made people more efficient, so will AI-driven chatbots. AI and chatbots are the future, and Oracle is taking that out of the lab and into the enterprise. Just ask Exelon, Bajaj Electricals, or the University of Adelaide and they’ll gladly laude the benefits of chatbots! Read the complete article here.